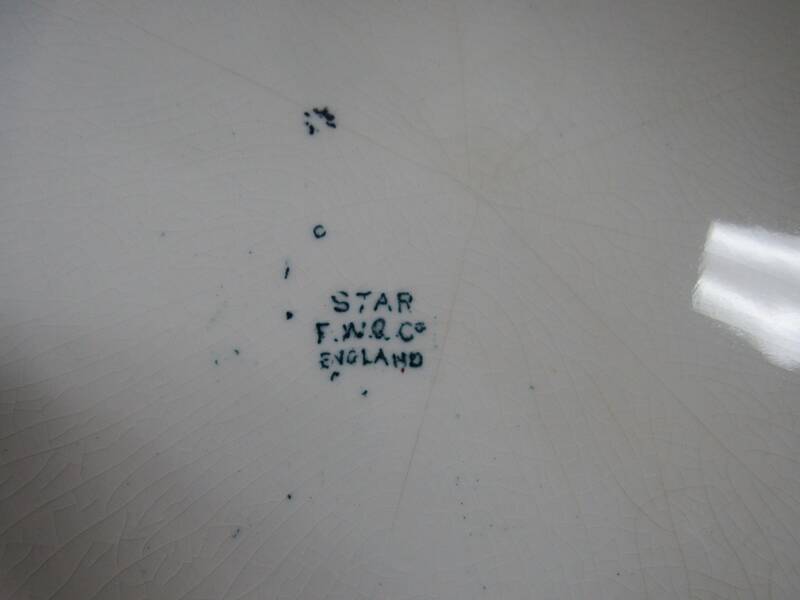 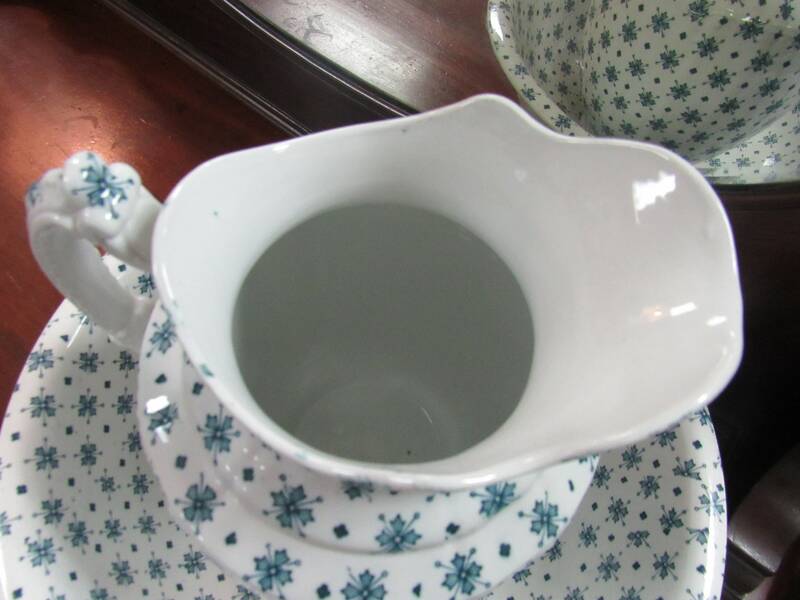 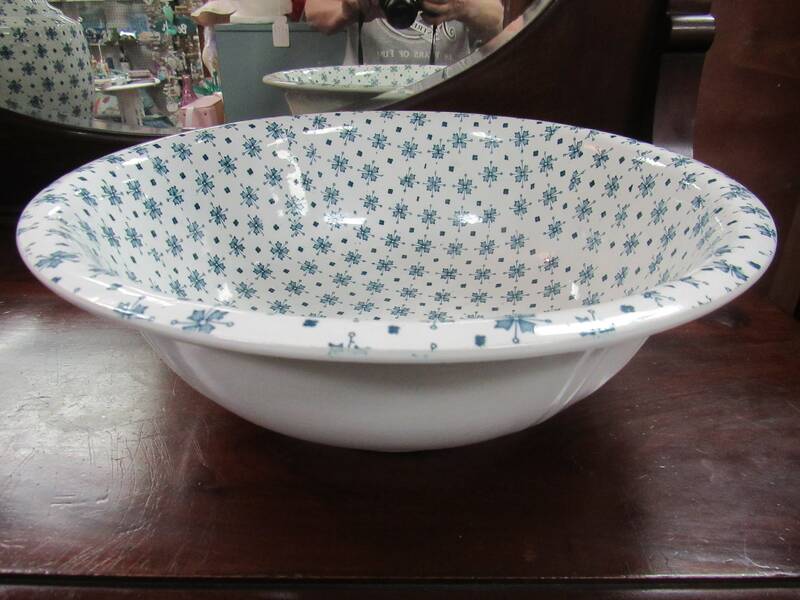 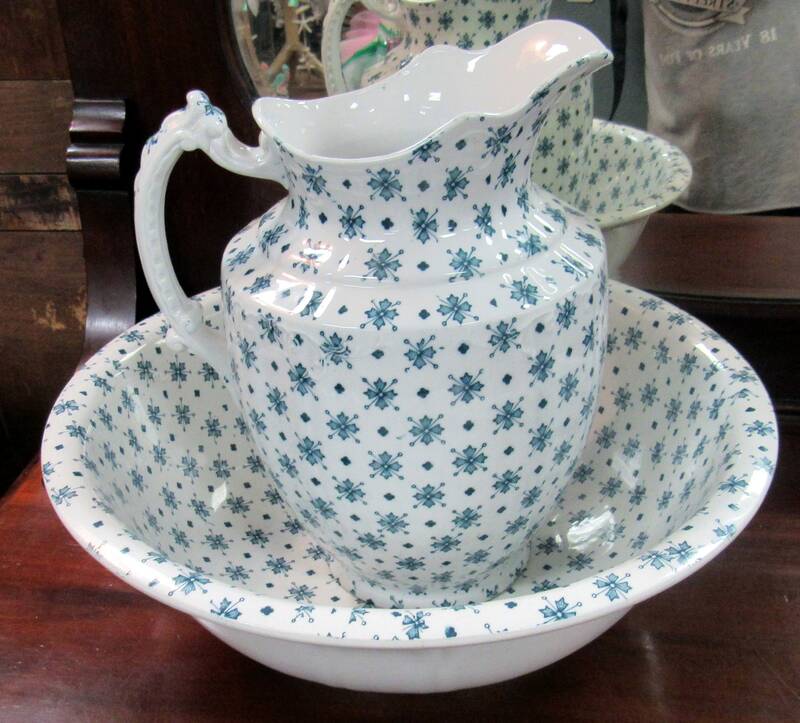 Beautiful antique washbasin bowl and water pitcher, blue and white pattern, Made in England, stamped Star F.W.Q.C. 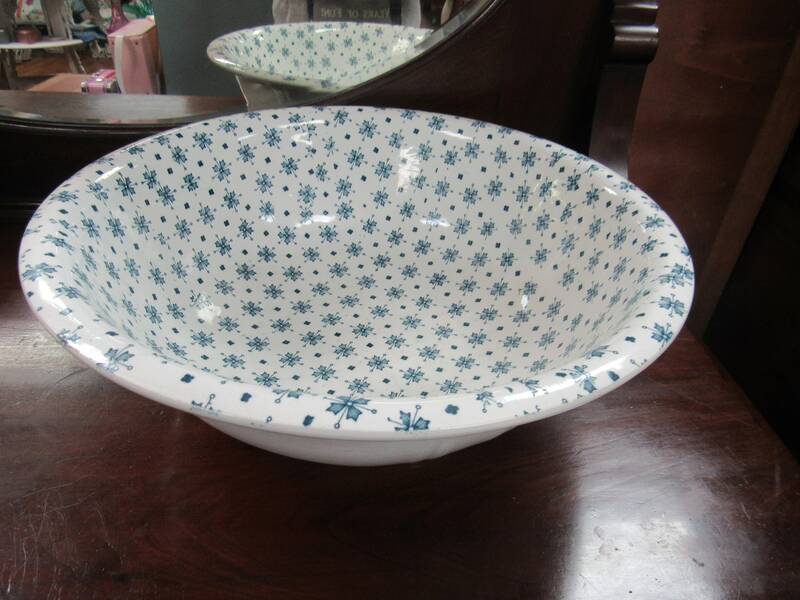 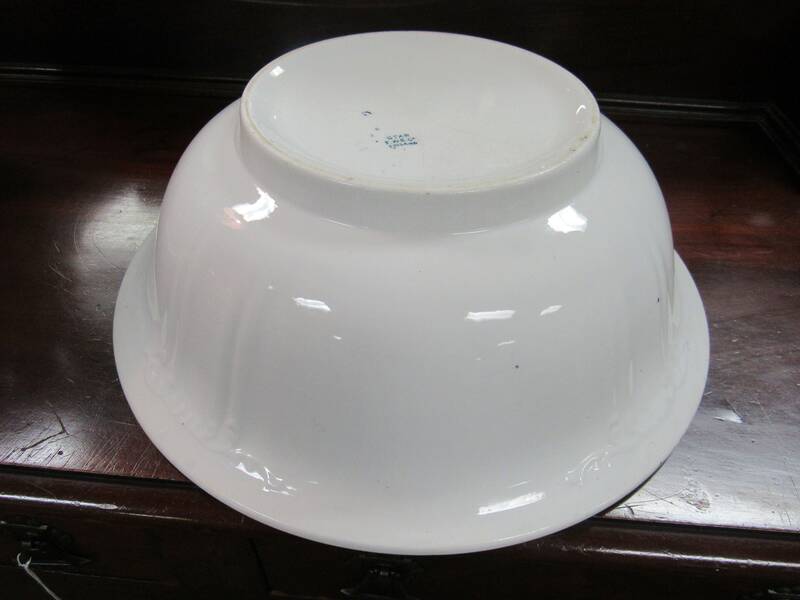 The bowl is 15" diameter and 5" deep and pitcher is 10" diameter and 13" tall. 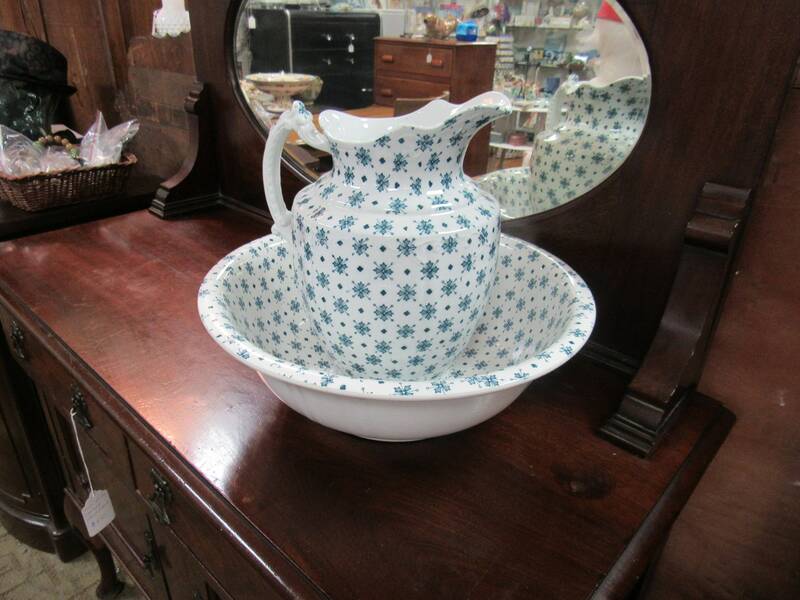 Excellent condition, no chips or cracks.